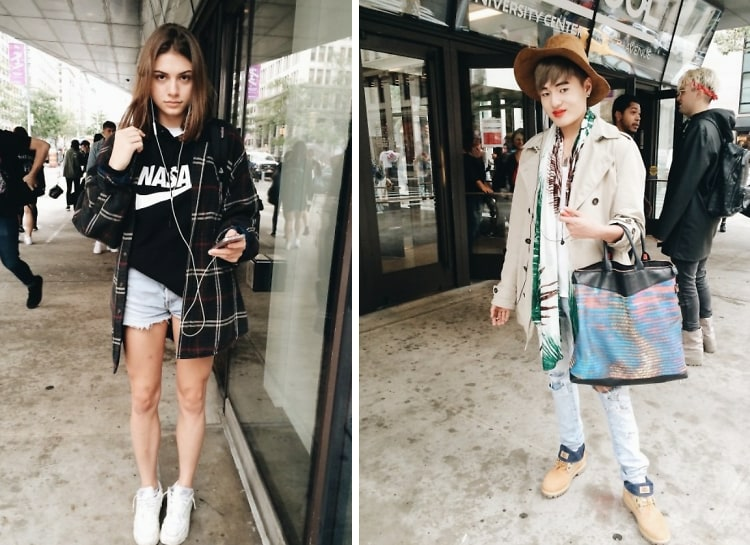 The Autumn Equinox has finally reached New York, and so we're wrapping up our Back to School Street Style series. But first, we of course could not have possibly missed the ever fashionable New Schoolers. Even when this crazy weather confuses us all with its raging heat and monsoon rainy days, these kids are still able to whip out outfits like it's their job (which, in the future, it just may well be).